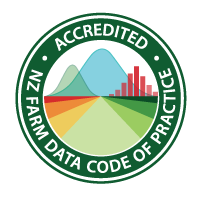 The Farm Data Code of Practice requires organisations to outline the steps they take to safeguard farmer data. Compliant organisations agree to disclose their practices and policies around data rights, data processing and sharing, and data storage and security. They will implement practises that provide farmers with utmost confidence their data is safe and is managed appropriately. The terminology used by farmers on a daily basis is defined differently by the range of organisations with which they share information. Organisations adhering to the Code commit to using common terminology and dictionaries to make it easier to share – with a farmer’s permission - land and animal data in a very secure manner. Currently, farm data doesn’t move between organisations in the volumes it could; this is often due to differences in data definitions, the need for multiple data entry or complex integration software. By increasing the rate at which data can securely move between organisations, the speed of innovation will surely increase. That’s great news for farmers and New Zealand’s rural sector as a whole.